Manually planned routes are often inaccurate and you cannot ensure the routes are followed by your drivers as instructed. The job could turn out to be even more complex if the number increases. So, even if you try to make the route planning process efficient, it will still lack effectiveness. Now, what if there’s a solution that is 100% efficient and effective? If you can prepare accurate, optimized routes, your customers and drivers would be happy. Your drivers won’t have terrible routes. And your customers will always get the required service on time. And that’s exactly what route planner helps you achieve. Such software automates 95% of your route planning tasks. 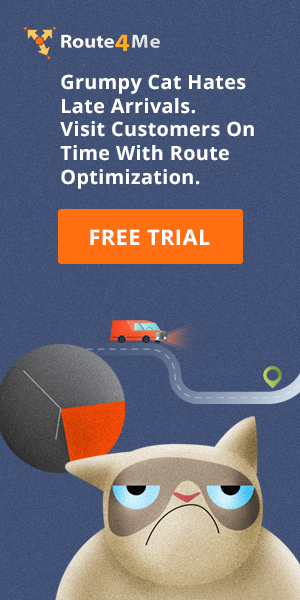 It also helps you plan 100% optimized routes in seconds. Yes, in seconds. Modern computing power is so advanced… it can make millions of calculations in a few seconds. This applies even if you have dozens, even hundreds, of vehicles and a large area to cover. Imagine the time and money you can save here! No need to micromanage your drivers or employees. You can plan routes in advance before the drivers hit the road. Makes every route planned up to 35% shorter on average. No need to spend hours going over signed papers, scanning them into the system and filing them away. However, choosing such software is not easy. Just subscribing for such software won’t solve your problem. Instead, you need to go for the one that offers the required features to simplify your route planning. Using Google Maps will only get you so far. You need a business-grade route planner app. You need to go for one that offers the required features for simplifying your route planning. Also, you should select one that offers advanced features beyond your requirements. But, how can you find such a road trip planner with multiple stops? What specific features do you need to look for when considering such software? All these questions will be answered below in this article. So, read on! How can you make your customers happy? By offering quality services on time… right? Telling your customers that your driver will show up at 2 pm… and actually being there on time will do wonders for your customer services. … And, you can only do this when you have real-time information about a driver’s location on the road. This is only possible if you can track a driver or a vehicle in real time. That way, you’ll have an idea of whether a driver is falling behind on the schedule. You’ll also know whether a driver will miss an important delivery time window. This will help you inform the customer of any delays ahead of time. Moreover, you can still keep your customers happy by providing an accurate ETA. So, ensure that the fleet route planning software you choose has a real-time tracking feature to predict the ETA. Also, if it offers a real-time dynamic ETA feature, it would just be a cherry on top. Provide roadside assistance as and when required. Improves productivity and driver’s behavior. Track, analyze, and reduce fuel costs. 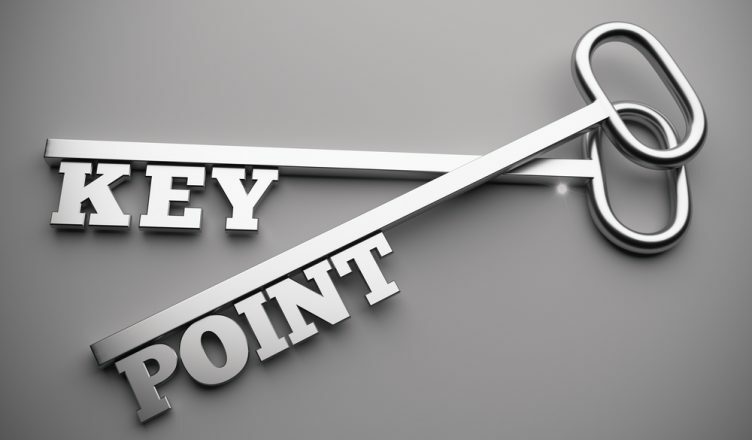 So, can you leave these points out of your checklist? Let’s say that your customer wants a delivery by 2 pm on Tuesday two weeks from now. Will you give your customer a vague figure, like delivery between 10 am and 5 pm.? Or, will you guarantee a delivery at exactly 2 pm? Very difficult to do with pen and paper route planning. So, do you think a route planner help you with this? Well… the answer could be both yes and no. An ideal route planner with multiple stops should have an “add constraint” feature. This will help you add specific time windows which it factors in while optimizing a route. In this way, you can guarantee a delivery time and impress your customers. But if the fleet route planning software doesn’t have such a feature, you cannot guarantee a delivery. You will be back to the same situation while paying more. Can you afford that? That way, you don’t need to worry about specific job details as all will be taken care of by the route planner. You can then still maintain a profit margin despite rising customer demands. Would you like to limit your business growth? Yet, that can happen if you are restricted to planning only a certain maximum number of routes. When your business grows and covers a larger area… you will need more drivers. Therefore, you need map route planner that doesn’t set any limitations. Nor should it use “legacy software” tactics and charge you per driver. Here is a dirty little secret from the route planning software industry… unless you have thousands of drivers, you’re not taking up much more computing power than if you had only 2-3 drivers. Unlimited custom data to add. After all, if the sky is the limit for your business, then why should your route planning process be limited? Best of all, with a route planning software, you can plan and distribute routes from your smartphone and laptop computer. Your drivers can even access all route details on their smartphone as well. Because, the key to successful route planning lies in how fast you can plan and share your routes. This is especially true when you need to make sudden changes or add a note to a route. Would it make sense if you make a change at 12 pm and your driver only knows about it at 4 pm? 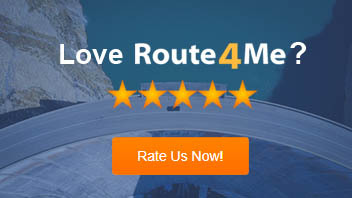 So, you should choose a route planner that offers smooth synchronization. It should distribute changes made on your local computer to the drivers’ smartphones instantly. But, choose one that supports all mobile devices and OS. It should thus support iPads, iPhones, and Android phones. So, simply opting for a route mapping software won’t change a lot in your route planning. Instead, you need one that offers dynamic routing. An interactive team management feature will help you manage unforeseen problems. If such problems arise with one driver, you can schedule another to manage their deliveries. Dial-a-ride to help you manage last-minute pickup or delivery requests. Semantic route planning to show the time of the sunset or sunrise to avoid driving in the dark. So, have you decided to go for a route planner? Which feature do you need the most? Please feel free to leave your comments below and thanks for reading!